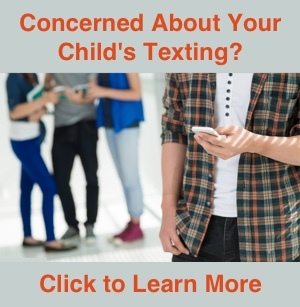 I published an article describing the difference between a text message and an iMessage, which has been quite popular and generated some additional questions related to iMessage. This article will address a common question regarding why an iMessage will sometimes be sent as a regular SMS text message. The Messages app on the iPhone is capable of sending and receiving regular SMS/MMS text messages as well as iMessages. When you send an iMessage, Apple will route that message through their servers using an Internet connection. This Internet connection can be either Wi-Fi or your cellular provider’s data network. If no Internet connection is available, the Messages app may attempt to deliver the iMessage as a regular SMS text message. Depending on your text messaging plan, this could mean texting charges will be billed by your cell phone provider. You can configure whether or not the Messages app will automatically send an iMessage as an SMS text message when the iPhone does not have an Internet connection. Open the Settings app and select Messages. You will see the option “Send as SMS”. Set the slider to OFF if you do not want iMessages to be automatically sent as regular text messages when an Internet connection is unavailable. Setting “Send as SMS” to OFF does not completely disable all SMS text messages. You will still be able to send text messages to someone without an iPhone. Turning this option OFF only keeps your iPhone from automatically sending an iMessage as a regular text message when an Internet connection is not available. When an iMessage is sent, you can usually tell it is has been delivered to the recipient because the word “Delivered” will appear under the sent message. If the recipient has “Send Read Receipts” enabled, once the message is read, the word “Delivered” will be replaced by “Read” and include the date the message was read. If “Delivered” is not displayed under the last message, that message was not received by the recipient’s device. In this situation, the iPhone is having issues connecting to the iMessage server. This could be caused if there is no Internet connection. If the option to “Send as SMS” is turned off, the iMessage will not be delivered until the device is back online. 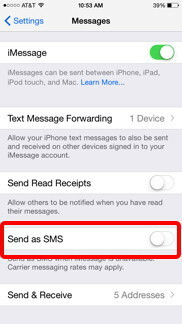 You can force an undelivered iMessage to be sent as a regular text message regardless of the “Send as SMS” setting. If the Messages app is having difficulty sending an iMessage, simply touch and hold the undelivered message until the option to Send as Text Message appears. This effectively overrides the “Send as SMS” setting for this individual message. Why Are iMessages Being Sent to Multiple Devices?